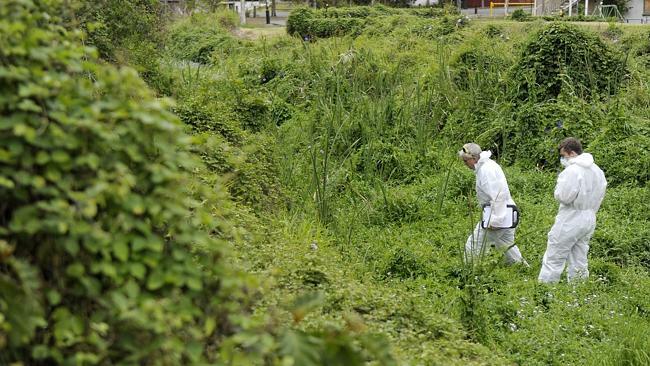 HEALTH officials will order an urgent clean-up of a suburban creek littered with ­asbestos next to a decommissioned asbestos plant. And further air and soil sampling will be conducted at homes in streets next to the disused Wunderlich plant at Gaythorne after independent tests commissioned by The Courier-Mail found asbestos dust in their roof spaces. Five of the six properties tested returned positive results. 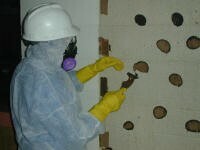 None had asbestos roofs or insulation. The results come as an inter-agency team led by Queensland Health continues an investigation into possible links between cancers, and other illnesses among residents, and the factory, which operated for 47 years until 1983. “I can’t see anything else that could have caused it other than airborne contamination from the asbestos factory,” Asbestos Audit team leader Mark Rentoul said. He was particularly alarmed by the debris of broken asbestos pieces littering the creek which dissects Bellevue Ave.
A public walking and cycle track runs alongside and the surrounding area is Brisbane City Council-owned parkland. Despite Mr Rentoul’s damn­ing assessment, Brisbane City Council field service assessment chairman David McLachlan said a council ­investigation did not find any material. 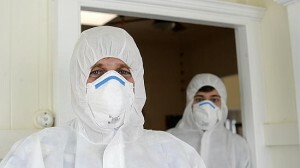 But he admitted that asbestos did force its way to the ­surface from time to time. “We know that the site was historically an asbestos fabrication factory and landfill remediation has previously been conducted at the site and as a consequence remnants of asbestos building materials may still exist in soil in surrounding areas,” Cr McLachlan said. Laboratory tests confirmed the presence of white, brown and blue – the most dangerous – asbestos among broken material collected from the site. State Government health protection unit executive director Sophie Dwyer, who heads the inter-agency panel of experts investigating the possible health impacts on residents over decades, said an environmental sampling plan would be drawn up to compare asbestos exposure levels with other areas and whether the former factory was the source. Long-time residents say waste was dumped there from the adjacent factory site. “There is basically layer upon layer of it,” Mr Rentoul said. The area is flood-prone and Mr Rentoul said that would exacerbate any risk. Ms Dwyer said she would talk to the council to ensure asbestos around the creek could not be disturbed. Queensland Health officials are working through registers of mesothelioma and other asbestos-related cancers, looking for links to the Wunderlich plant and a former James Hardie factory at Newstead. Ms Dwyer urged people who lived at Gaythorne and Mitchelton between 1936 and 1983 to contact Queensland Health. They also want to hear from anyone with questions or concerns on 13 HEALTH ­(13 43 25 84).